The summit is aimed at attracting investment to unlock further economic opportunities in coastal areas and develop small harbours. 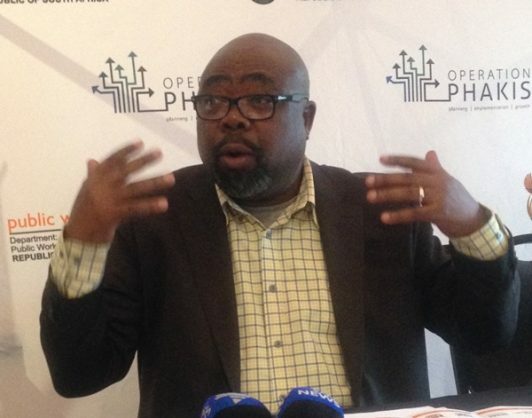 Minister of Public Works Thulas Nxesi hosted the first day of his department’s two-day Operation Phakisa Oceans Economy summit in East London today. The summit is aimed at attracting investment to unlock further economic opportunities in coastal areas. Nxesi said his department and National Treasury have developed a New Letting Out Framework for state-owned small harbours and coastal properties. “We have mentioned Port St. Johns and Gonubie in the Eastern Cape which are the major ones, but there is a list of these harbours situated in different municipalities that will be brought on board,” said Nxesi. Nxesi highlighted that the summit would also provide the Eastern Cape and other coastal municipalities a platform to showcase their properties to potential investors to allow for a submission of expression of interests. He emphasized that they need to sort out issues of infrastructure before the development of harbours. “Once we talk about tourism and issues of infrastructure, it’s short term and that could be just within a year, but after that, we talk medium term where there must be a lot of exploration where we speak to big companies to come and develop that particular harbour,” added Nxesi.